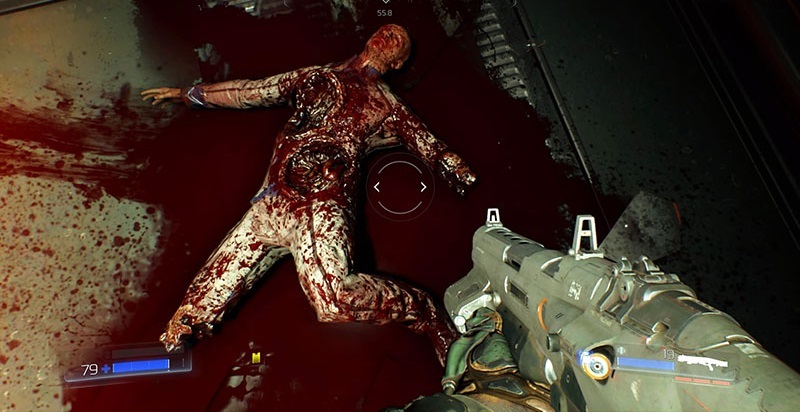 Doom has never had a complex history, nor a charismatic protagonist and has not given cinematics to remember that serve as a prelude or excuse for the trail of death and caps that we stop our way. The truth is that it has never needed anything like that to dazzle our bellicose heart. I must say that this latest installment liked, as happened with the new Wolfenstein, but when I finished curiously satisfaction ended up becoming something ephemeral. The complacent feeling of having enjoyed a round product eventually disappeared. The desire to start some games to enjoy a second round with more experience is certainly one of the unmistakable signs that a game really liked it. Said and done; I again start at the highest difficulty level but after a few days I was bored and the game ended on the shelf, along with other titles that complete a current catalog that often inspires me when I contemplate complete indifference. This new release is good but not as much as some believe, at least in terms of stale feelings are concerned. Okay, gameplay and traditional style is there, yes, shows an admirable passion for detail when describing the universe and the elements of the game through its guide even allows gloat before the player introducing new mechanics that enrich this form of classical and intense game but dispenses with some elements, in my opinion, essential in this series. Doom was always amazing, fun, addictive and violent virtues that certainly has this new version, but also knew to put fear in the body he touched, rewarded us with those grateful lulls when ceased the slaughter of demons and forced exploration its intricate nonlinear levels, a great example of design, features which have not been included with the notoriety or the role that definitely needed this time. You may also like to read another article on GameGreatWall: Why Doom was so great and why we want more? Secrets, collectibles and a dose of exploration beginner or shadow of the challenge offered by the classic deliveries in completing their complex levels. Maybe some opine that the absence of these virtues can be supplied with news and desperadoes difficulty “ultra -violence”, where the incessant movement and thorough knowledge of the arsenal become even more essential for survival, but the fact is that the end feel I have left is “another return more” of the many who live in recent years. Of course it is not the worst but again I have become a victim of the hopes that self gets in this kind of reboots, also motivated by promises of others that confirm what we simply want to read or listen before purchasing certain games renown with a very special heritage behind. Of course, it never rains to everyone’s taste, but good “restarts” should never belittle or his legacy level, should honor him as he deserves, keeping those moments or experiences that helped to define his personality. This is the fundamental premise that must take into account when deciding to discontinue deserved retirement of some classic video games. Desecrate her break back to life with foul purpose of making money at the expense of his name adapted to current needs is a terrible sacrilege should be condemned in the fire of hell. 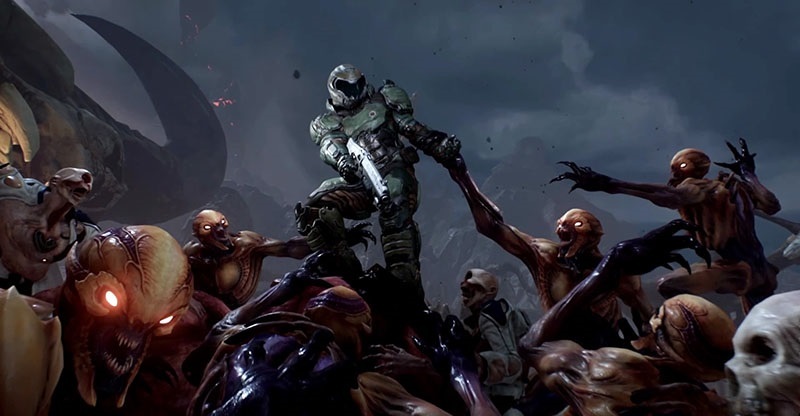 However, again, this Doom is not the worst case, get entertain a good time but its essence has not finished being complete, has not caught me as at the time made the first deliveries or visionary Doom 3. Do not be fooled by what some say, on Mars there are moments of eerie calm after annihilating an entire demonic horde and lost inside of long corridors and anguishing stays it is part of the great sentence which has always before us this saga.